It was a successful season for the Arcadia High School Hornets in 2017 winning seven games. 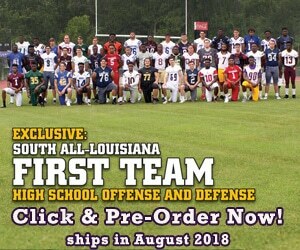 It may be a sign of bigger things to come for Head Coach Dimitri Carr and the rest of the team as according to Louisiana Football Magazine’s recruiting expert Lee Brecheen, this team may be even more talented this season especially with these upcoming senior skill players such as athlete Rozerrick Abney, WR/CB Keyshawn Young, and Jawayne Pearson among others. “Rozerrick Abney plays defensive back for the team, but could be a slot wide receiver in college and can play either strong safety or free safety in college too with 4.59/40 speed,” Brecheen said. However, the team relies heavily on their star player Corey “CJ” Russell. 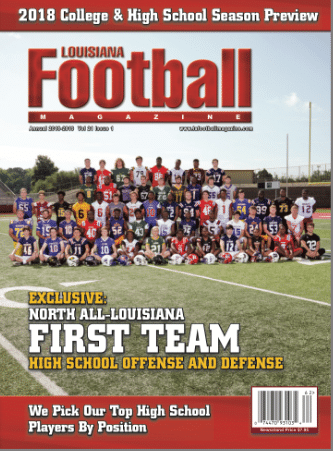 Brecheen is really high on Russell as he selected him to be on the cover of our North Louisiana Magazine preview issue and also on our first team All-North Louisiana team. For Russell, it was refreshing to be recognized as one of the best at his position in the state. 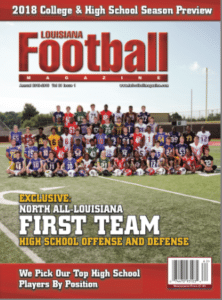 For Russell, despite becoming a program great earning All-State honors two years, winning District MVPs the last two seasons, and rushing for an incredible 6,000 yards and 70 touchdowns, there has not been too much attention in comparison to some of the other big time running backs in Louisiana like Tyrion Davis (Southern Lab), John Emery (Destrehan), and others, but the in-state schools have recognized what type of player he really is. 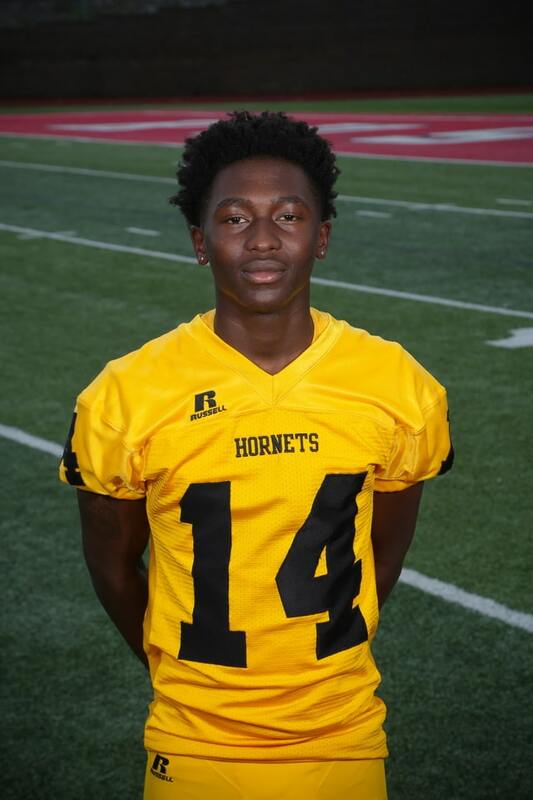 Russell knows that his breakaway speed and elusiveness are his biggest strengths, but is hoping that he can improve on other areas in order for the Hornets to have a good season. Usually, a 7-3 season is something that a team would be ecstatic about having, but for the Hornets, they do not dwell on the previous season unless if the previous season ends in the Superdome. So far, the season did not start quite as quickly as the Hornets would have liked already losing their first two games to Ouachita Christian High School and Red River High School. Still, the team remains optimistic that the first win is coming up really soon maybe even tonight against the 1-1 Cedar Creek High School Cougars.